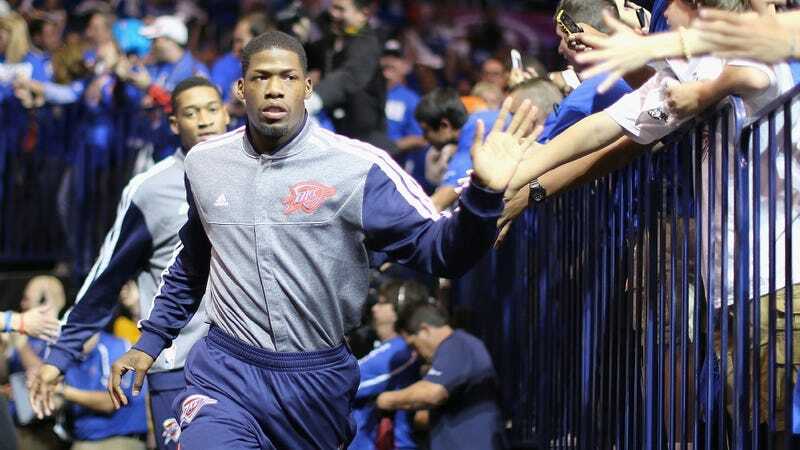 DeAndre Liggins, a two-year benchwarmer currently with the NBA's Oklahoma City Thunder, is accused of assaulting his girlfriend by, among other things, dropping an Xbox 360 on her head, according to police. If true, it's the second incident in six months in which a video game console was the weapon itself in a headline-grabbing domestic assault. Back in April, authorities found a "broken and bloody Xbox 360" next to the body of a Broward County, Fla. woman killed by her boyfriend. In the latest incident, Liggins (above), who played last year for Oklahoma City and Orlando the season before, is accused of kicking down a locked bedroom door, shoving his girlfriend to the ground, dropping a fan on her and stomping her before dropping the console on her head. An Xbox 360 weighs between 7 and 8 pounds. Liggins was arrested Saturday on charges of domestic assault, domestic abuse, and battery with a dangerous weapon. He was released on $8,000 bail later that day.